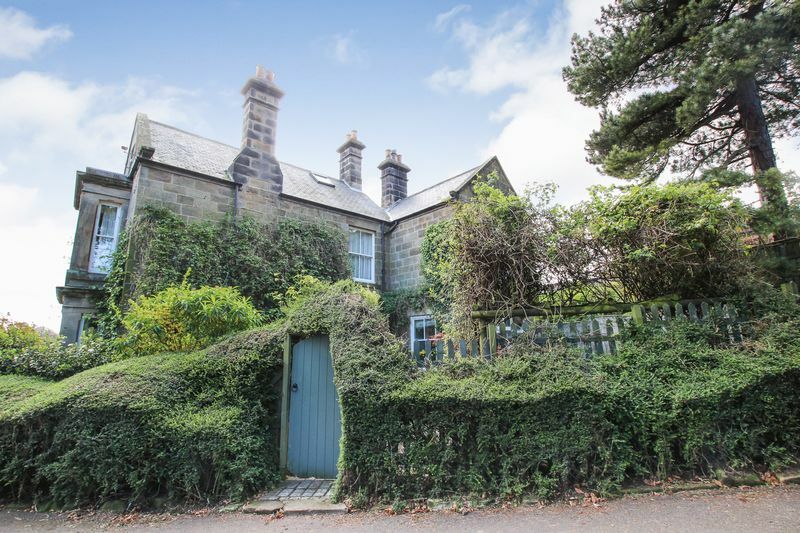 Exuding charm and character is this gorgeous stone double fronted family home built circa 1870. Enjoying a lovely position on the periphery of this Village with glorious open aspect to the front. 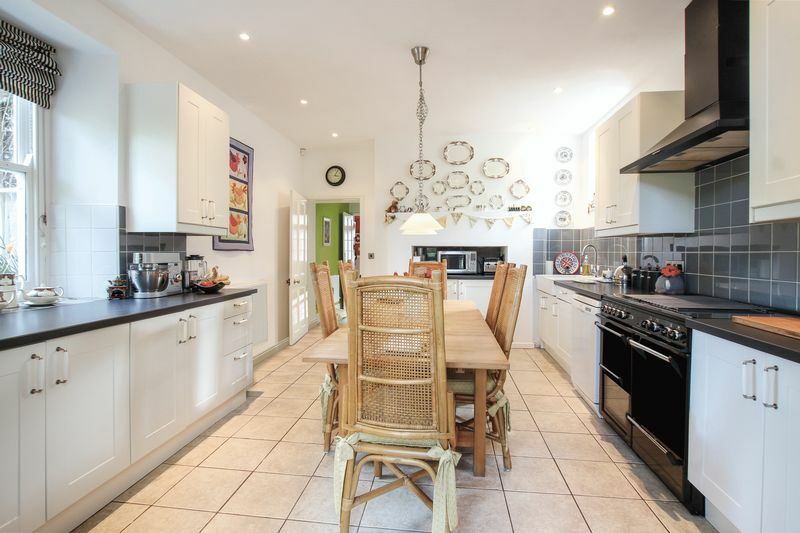 We are positive you will not fail to be impressed by the accommodation that this four bedroom family home have to offer which is substantially larger than it's outward appearance would have you believe. 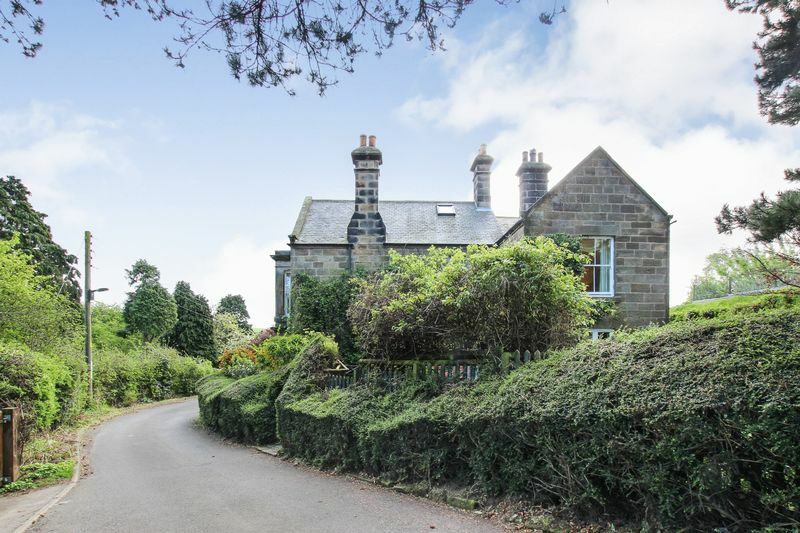 The property benefits from gas central heating and security system and principally comprises; stunning reception hall, living room, dining room, study, ground floor shower room / WC, fitted kitchen / breakfast area, utility and laundry room. 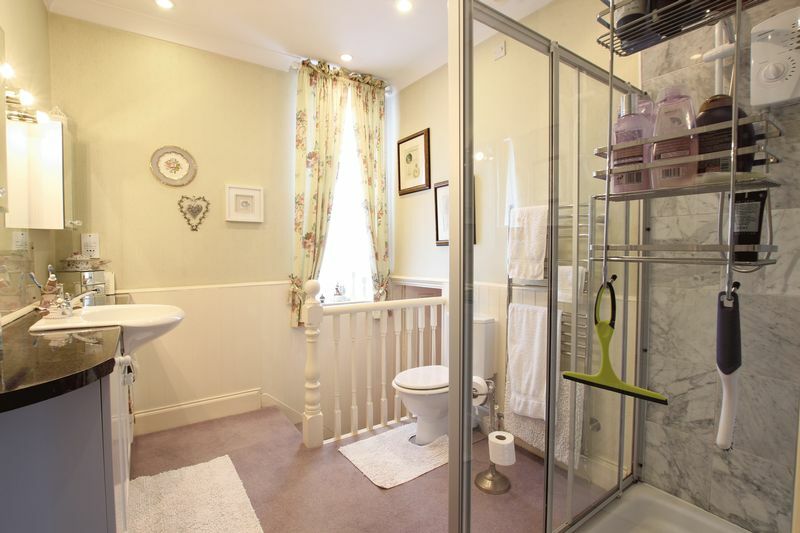 To the first floor; master bedroom with en suite, three further bedrooms, family bathroom and separate WC. 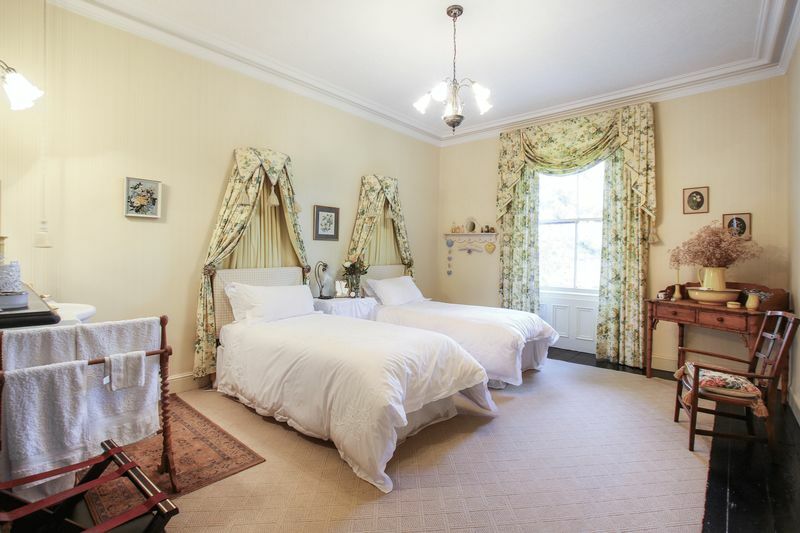 The property also boasts a generous cellar and two attic rooms. 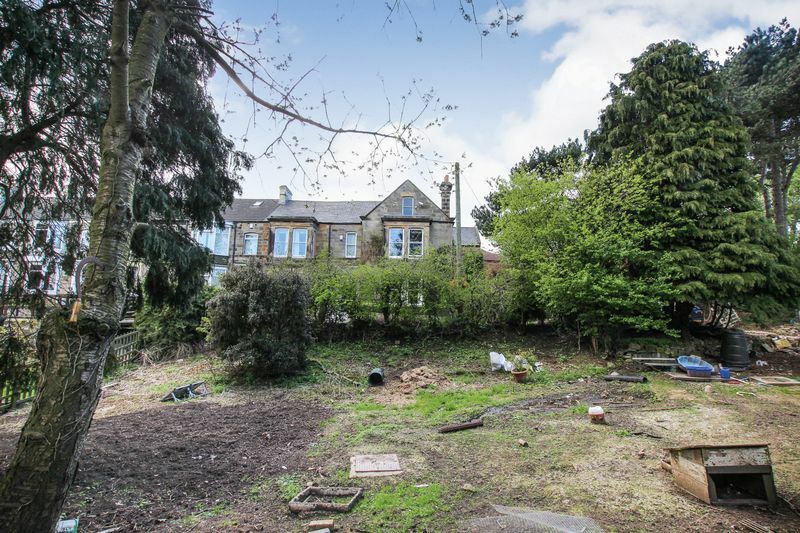 Externally; grounds to the front of the property approximately a third of an acre and also side garden. 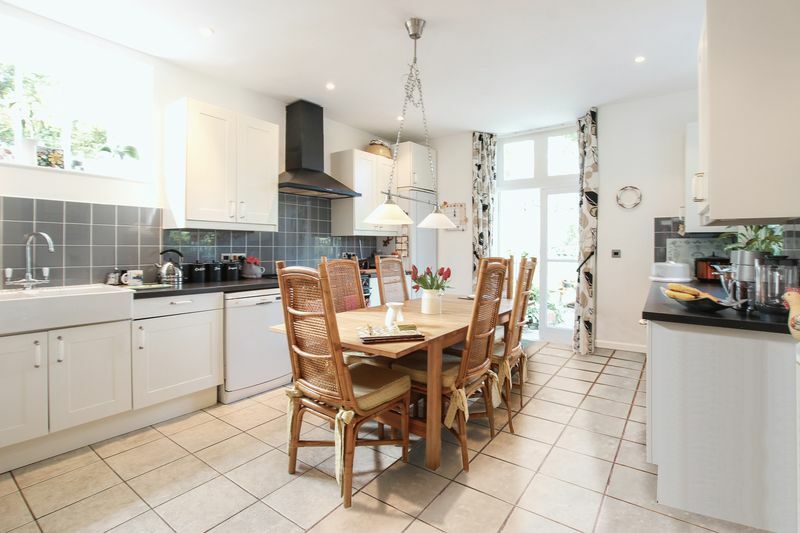 Only through internal inspection can the many qualities that this property has to offer be fully appreciated. With impressive entrance door to the front and parquet tiled floor. 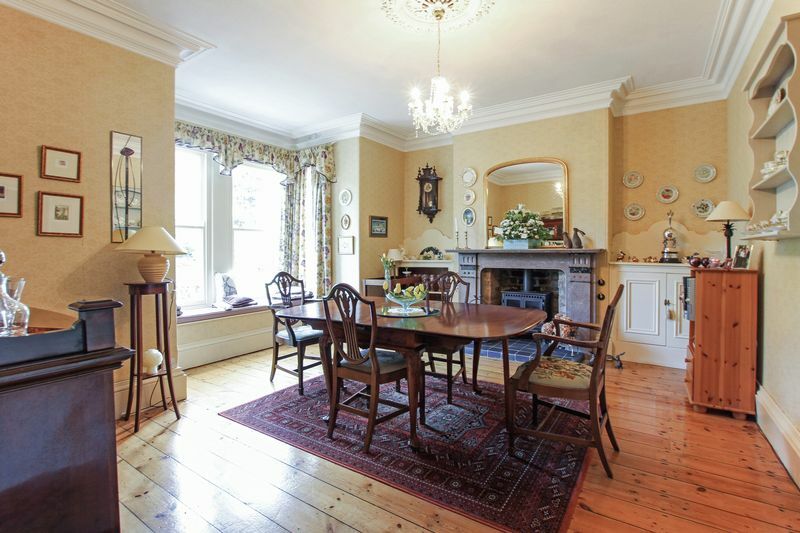 Single glazed door with stained glass inset and adjacent windows to stunning reception hall. Returning staircase to first floor, ornate coving, single radiator, double radiator and coved ceiling. Bay to the front with sash windows and window seat. Attractive period fireplace incorporating coal effect living flame gas fire. 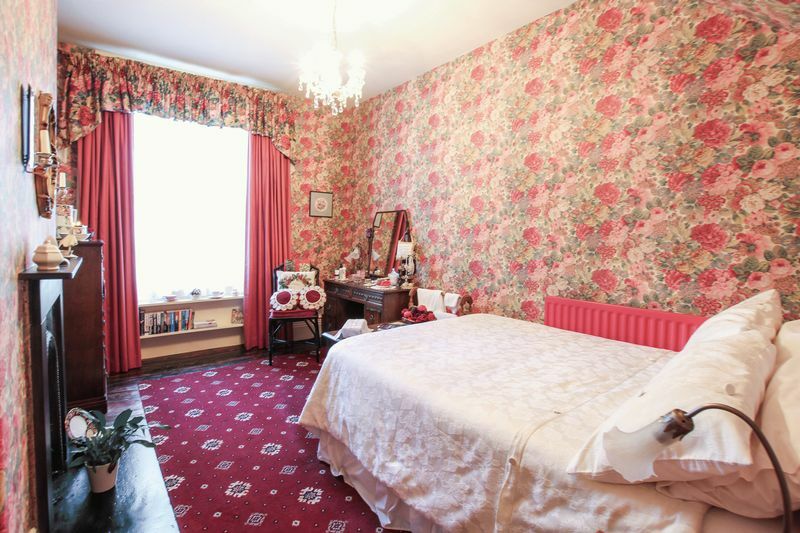 Ornate coving and ornate ceiling rose, wide skirting boards and double radiator. Bay to the front with single glazed sash windows and window seat. 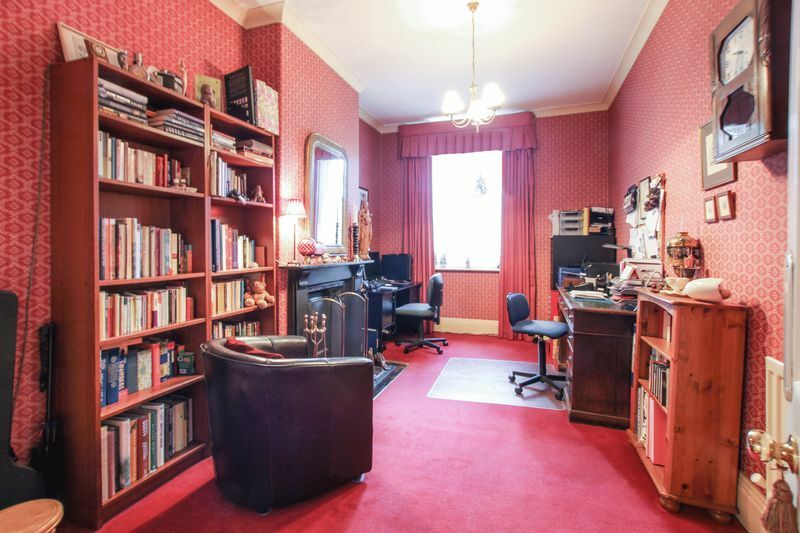 Distinctive wood floor, ornate coving, wide skirting board and double radiator. Window to the side, distinctive fire place incorporating cast iron fire with open grate and tiled inset and hearth. Double radiator, coved ceiling and useful storage cupboard. Window to the rear and door to court yard and access to the cellar (the useful cellar is divided into three distinct areas). Modern white suite comprising large shower cubicle, dual flush WC and attractive wash hand basin with mixer tap and cupboard under. Porcelain tiled floor, radiator, window to the rear, halogen down lights and extractor unit. 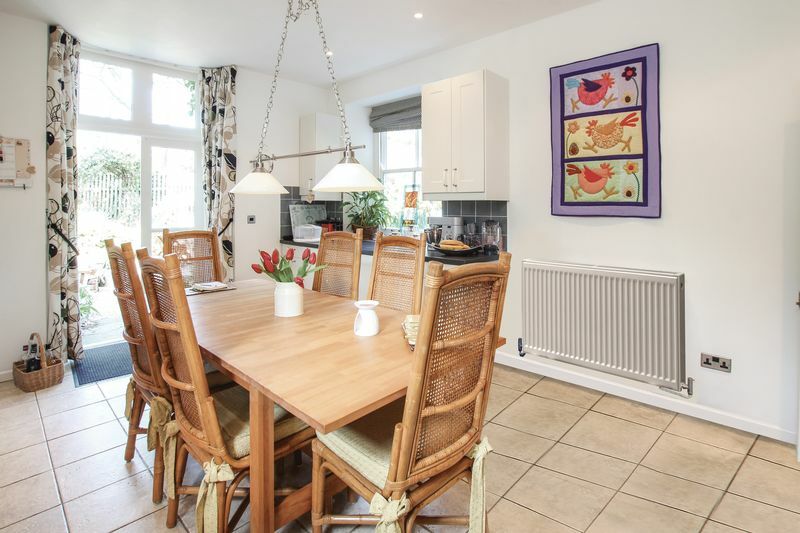 A light and airy room having windows to both the front and rear and French doors to the side. Fitted with a range of cream wall, base and drawer units finished with laminate work tops and coordinating tiled surrounds. White double bowl sink with mixer tap. Dual fuel range style cooker incorporating two ovens, grill, five ring gas hob and electric hob plate with extractor hood over. Space for upright fridge freezer, tiled floor, halogen lights and radiator. Range of wall and base units incorporating drawers and finished with laminate work tops and tiled surrounds. One and half bowl stainless steel inset sink unit with mixer tap, plumbing for a washing machine and space for American style fridge freezer. Window to the rear, tiled floor and double radiator. With window to the rear and stainless steel inset sink unit with cupboard under. Cupboard housing gas central heating boiler, radiator and fashionable PVC clad walls and ceiling. A light and airy space having sash window to the front and window to the rear. 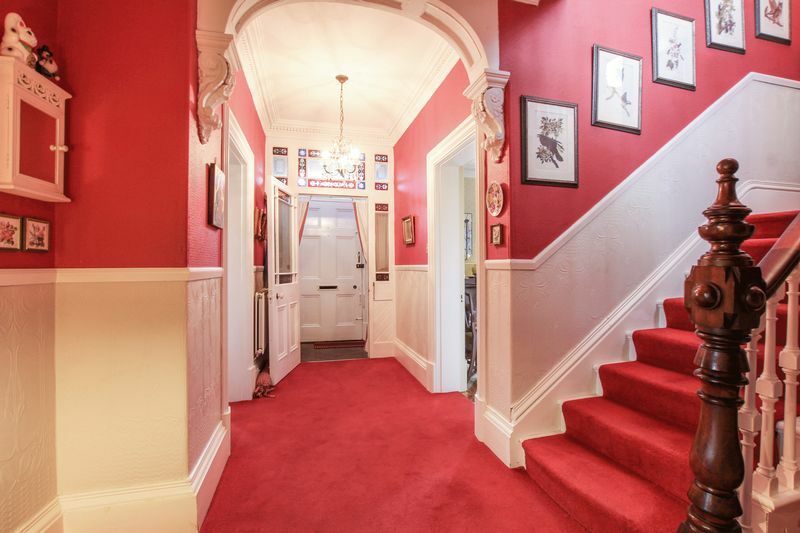 Ornate coving, radiator and attractive spindle banister. 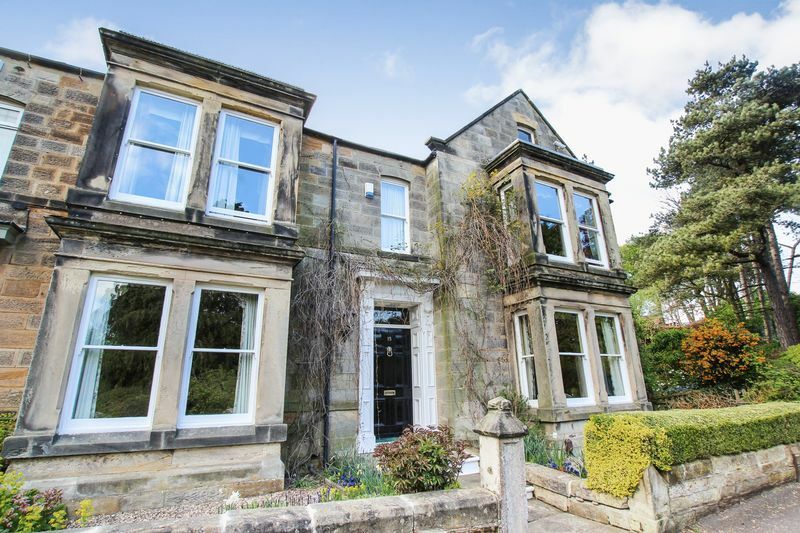 Bay to the front with double glazed sash windows with open views. 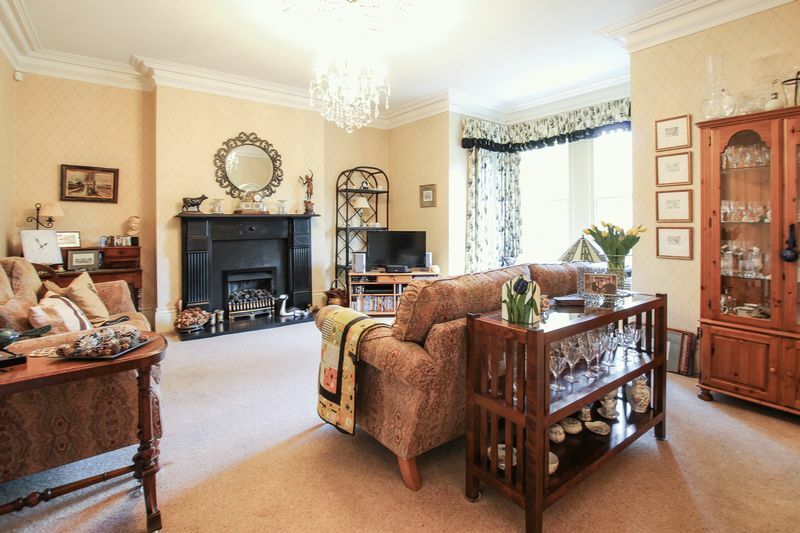 Original fireplace incorporating open grate, fitted wardrobes, ornate coving and radiator. White suite comprising double shower cubicle with marble surrounds, wash hand basin with mixer tap and low flush WC. Window to the rear, chrome effect heated towel rail / radiator, inset spot light and coved ceiling. 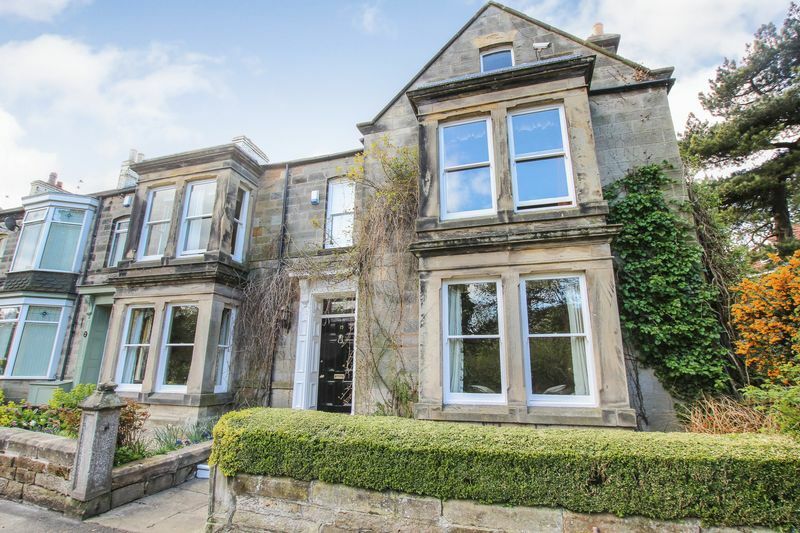 Bay to the front with sash windows and open views. 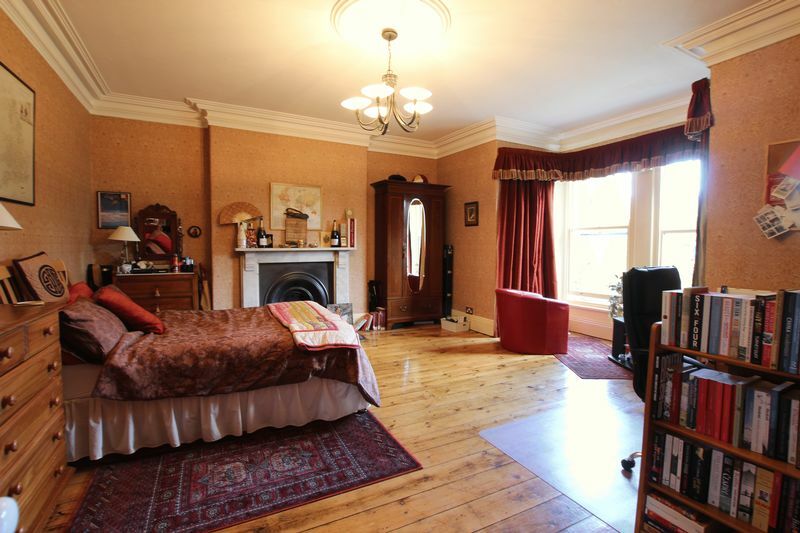 Distinctive wood floor, original fireplace, ornate coving and double radiator. 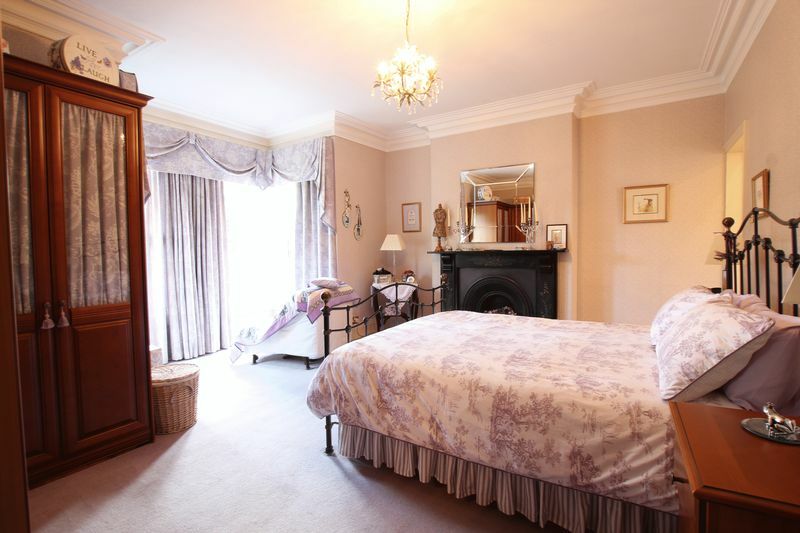 Window to the rear, vanity wash hand basin with cupboard under, original fire place ornate coving and radiator. Window to the rear, original fireplace, distinctive wood floor and radiator. With two wall lights, coved ceiling and access to attic. 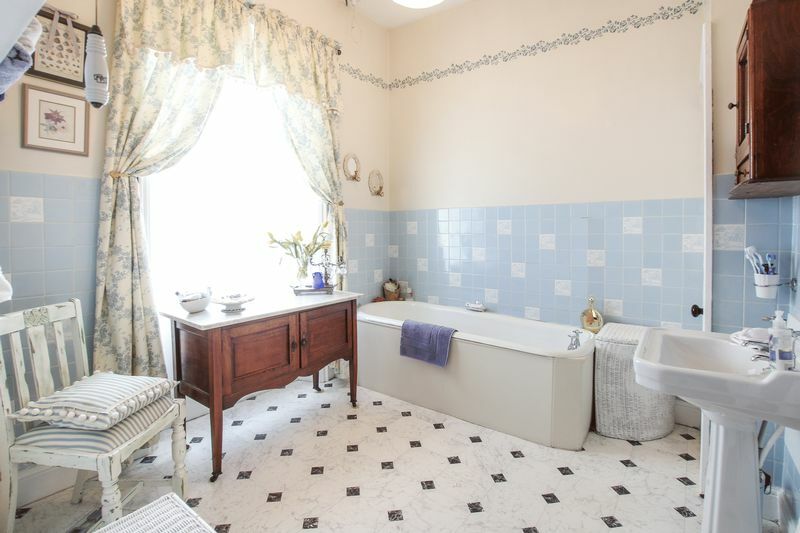 White suite comprising cast iron bath and pedestal wash hand basin. Double radiator, window to the side and airing cupboard housing lagged hot water cylinder. Distinctive high flush WC, window to the rear and radiator. The attic is currently divided into two main rooms and is ideal for further development (subject to the necessary building regulations). 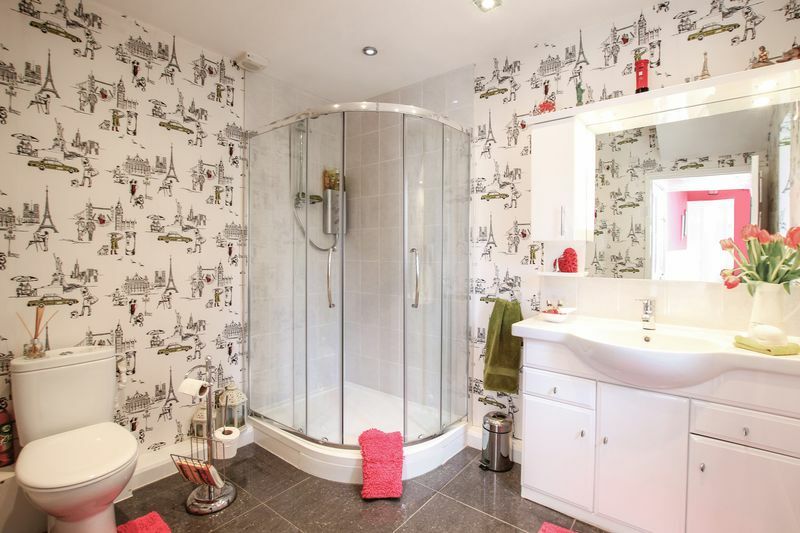 A real sun trap boasting two outhouses with power and light, useful storage area, access gate and cold water tap. A credit to the current sellers is this well cared for garden having an extensive covering of gravel with borders planted with mature flowers and shrubs, and raised seating area. The garden also boasts cold water tap and access gate and a feeling of privacy. 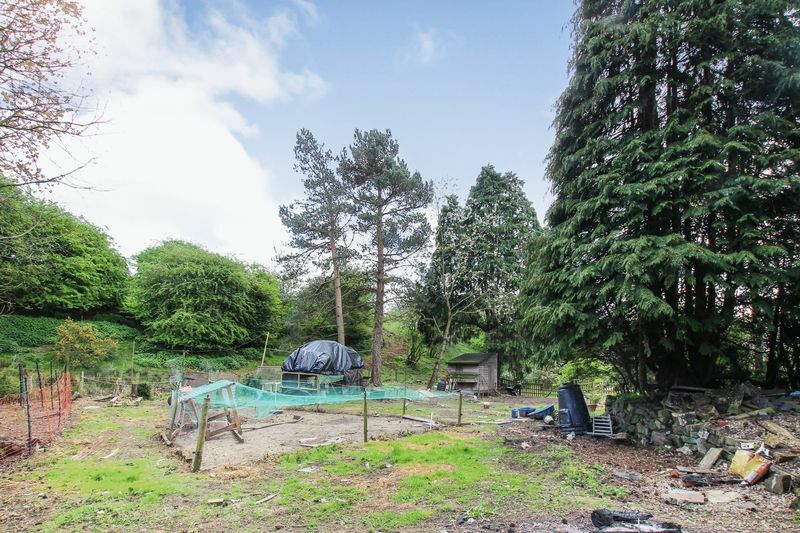 The land opposite the property (approximately a third of an acre) currently houses chickens and is ideal for a variety of uses. 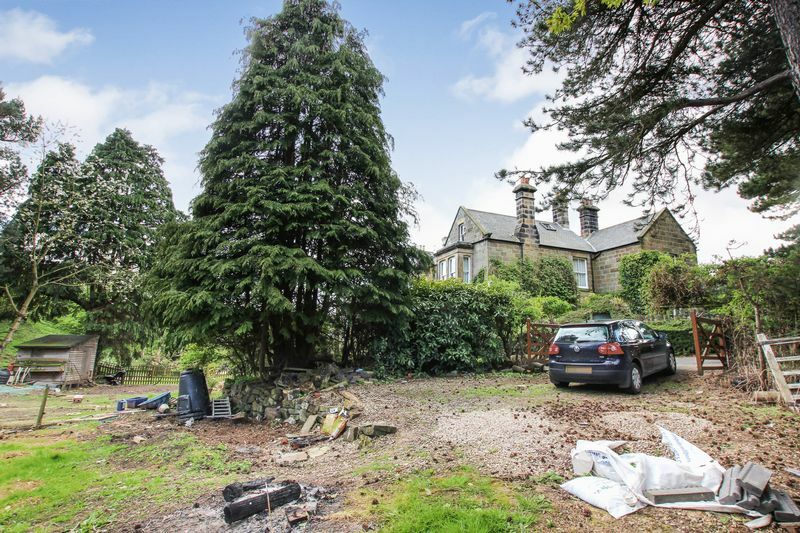 The land boasts a spring and double timber gates allowing off road parking.